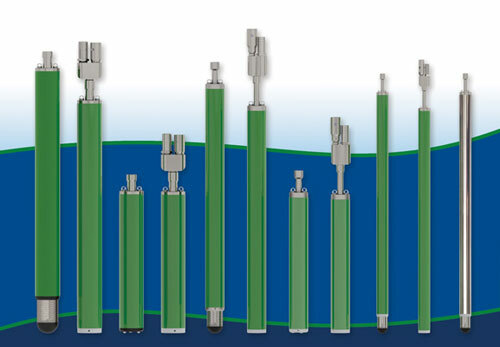 Viridian America designs and manufactures pneumatic pumps for vertical applications. The VP Series pumps come in 4”, 3”, and 2” bottom & top loading models. They’re designed to pump landfill leachate, landfill gas condensate and contaminated groundwater. The rugged design is ideal for corrosive leachate at elevated temperatures. Superior, corrosion resistant components make the VP Series pneumatic pump the most durable on the market. Viridian America's line of pneumatic pumps are the choice of many landfill managers and operators for vertical pumping applications. Their rugged, corrosion resistant design is ideal for pumping highly corrosive leachate even at elevated temperatures. In addition, they are fully automatic, self-regulating and require no external form of control. The Viridian America pneumatic pump is the most durable pneumatic pump available on the market today. Recovery wells at remediation sites. Bottom or top inlet configurations. Sizes to accommodate 4" and 3.5" inside pipe diameters. Manufactured with 316 SS components. Engineered plastic BCV is standard (316 SS available). Standard ultra-durable epoxy resin fiber-glass casing (316 SS available). Quick and easy disassembly for routine cleaning and maintenance.